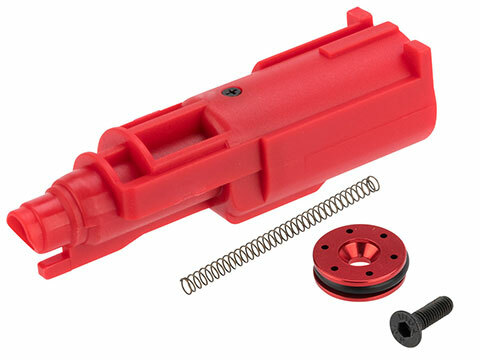 The Angel Custom Recoil and Hammer Spring Set improves the blowback kick of your Tokyo Marui / WE-Tech G-17 / WE17 GBB Pistol. 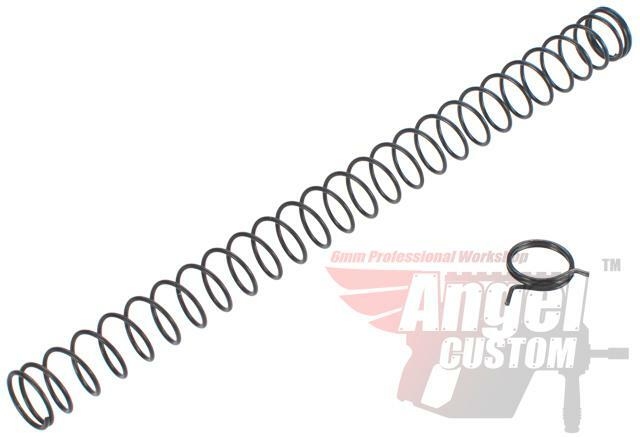 Made from high strength spring steel both the recoil and hammer springs work in tandem to provide a realistic hard kick that is great for training simulation and makes your GBB pistol that much more fun to use. "Well, so I bought these spring, put them in my WE-G18 and I was impressed at first but disappointed in the long run. I installed the hammer spring and recoil spring and they both fited and fired fine at first. A bit after with messing around, the hammer froze up (from high gas comsumption) and broke. 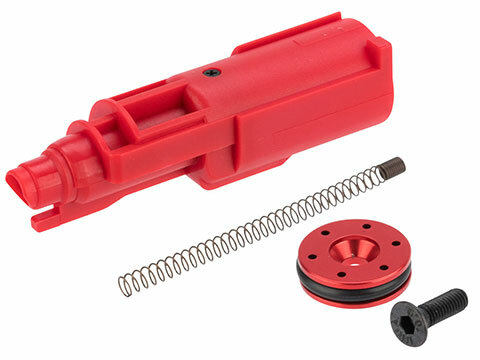 The spring for the recoil is working amazing and improved recoil and ROF by at least 30%. Overall this was a great purchase but 4 stars because I had to replace the hammer (which I should have anyway). If you have any questions let me know on my IG page @jt_vanderpol. Thanks for reading!!! 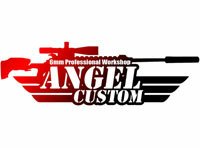 Discuss about Angel Custom Enhanced Recoil and Hammer Spring Set for WE/TM WE17 / G-17 Series Airsoft GBB Pistols - 150% with your friends and fellow Evike.com shoppers!